I revamped a recipe from last year for pumpkin chocolate chip bread and turned it into the most amazing pumpkin cupcakes I've ever had! 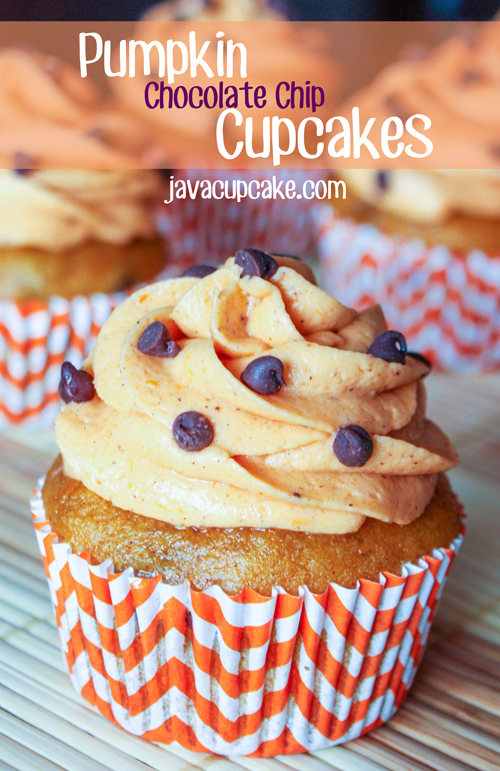 Full of chocolate chips and topped with pumpkin cream cheese frosting... these pumpkin cupcakes are perfection! 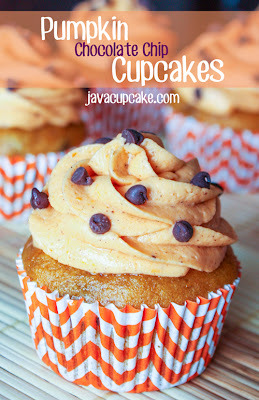 Get the full recipe at JavaCupcake.com!